Students at East Pennsboro Middle School started the EP Media Club a year ago for the purpose of capturing school activities and learning how to use audio/visual technology. 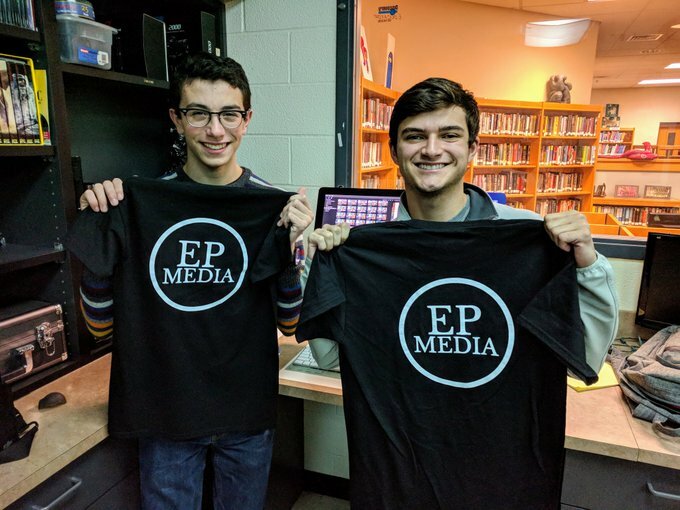 Now EP Media has expanded recently started a new video production program at the middle and high school designed to give students hand-on experiences in digital media, but also an outlet for the creative expression of ideas. Students integrate audio-visual learning with other disciplines, such as turning a poem into a video for an English class. They create videos that promote student achievements and school events such as a Mini-THON fundraiser, and instructional or educational videos for use in classes. The group also created ads for local businesses, free of charge. The program is funded by a grant from the East Pennsboro Education Foundation. To learn more, visit the EP Media You Tube channel.